Which is not to say that it is a “fun” read. The book is about a married couple–Celestial and Roy–who have been married about a year when Roy is accused of a crime that he didn’t commit and sent to prison. They write letters to one another, but they haven’t even really started to figure out how to be married when he goes to jail for several years, and both of them are forced to live very different lives. What has happened to Roy is unjust and terrible, but he must figure out how to deal with his situation while simultaneously, Celestial begins to come into her own as an artist who becomes rather well known for making hand crafted dolls. She wants to do right by Roy, but she must balance that with her career taking off, and she much figure out what it means to be a woman who is both married and alone. Some of my favorite drama comes not from a mustache twirling villain–though perhaps the criminal justice system metaphorically serves this role here–but from a situation that happens where good people have different perspectives, and they just can’t bridge the divide. The thing that is so gut wrenching about Celestial and Roy’s story is that this thing that has happened is terrible, but they can’t really come together to work through a problem because by the very nature of their situation they are kept apart. Both of them struggle with their situation, but their struggles are very different. To the very end, it is unclear how the situation will resolve itself, but it is very clear that their relationship can never be the same. Jones does a great job of making you feel for all of her characters, and I found myself hoping for one thing to happen and also for the opposite to happen at the same time. No matter what a character does, I wanted them to be happy, and knew that they would only be happy by doing something that was also very painful. It also is worth re-emphasizing that the book is very clear that Roy is innocent of the crime he was accused of. No one in his life doubts it for a moment. Because these characters are forever changed by something that should not have happened, and all of this pain and suffering should not have existed because Roy is innocent, but it happened anyway because Roy, a black man, was convicted of something he didn’t do. The specter of the prison industrial complex hangs heavy over this book, and several characters are outspoken about the justice system. This book confronts both the personal devastation these characters face as well as the larger systemic issues that could lead a man like Roy to wrongly end up in prison. Jones has written a book that beautifully and effortlessly works on different levels. Finally, I want to just mention the extra bonus of reading a book set in Atlanta while I am just beginning to discover the city. I have always found it thrilling to read a book and see references to real things that I recognize. There is a thrill of the familiar that delights me when I read about a place I know well and can picture the place fully because it is a place I have been. Simple things like street names and neighborhoods make me feel an extra degree of fondness for a book. Before this, I read a series of mysteries set in Atlanta just to see references to Little Five Points or Candler Park. Because of the nature of the BS Reading Project, I am reading books set throughout the South, but this one makes me want to seek out more books set in Atlanta. One of the books I have added to my reading list is Tayari Jones’ novel Leaving Atlanta, about the Atlanta Child Murders. The topic is one that I only recently learned about from the podcast Atlanta Monster, but I am also excited to read more books by her. 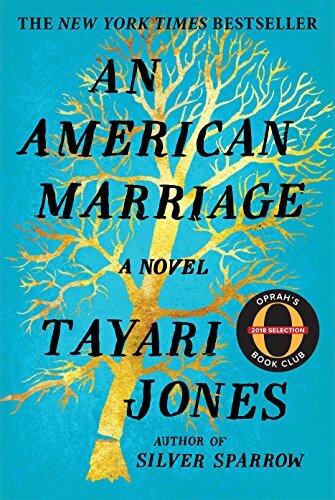 This entry was posted in BS Reads and tagged an american marriage, Books, BS Books, BS Reading Project, Southern literature, tayari jones, The Bitter Southerner. Bookmark the permalink.